Steel twin screw steamer, built and engined by D. & W. Henderson, Glasgow, in 1927 (Yard No 818) for the Southern Railway. From 1924 to 1928 nine new twin-screw cargo steamers were put into commission on the Dover, Folkestone and Southampton services by the new Company (Southern Railway) ; the above seven were allocated to Dover and Folkestone, the remainder being based at Southampton, though a certain amount of interchanging has occurred from time to time. These ships were all alike though their gross tonnage varied between 680 and 750; they came from Meadowside Yard of Messrs. D & W Henderson, Glasgow, the firm so closely identified with the old Anchor Line. They were handsome ships of their class, each with a single funnel, two masts and cruiser stern. February 10th 1928: Launched at a cost of £41,810. April 27th 1928: Holed on rocks off Ireland during her delivery voyage. Re-floated after 4 hours and returned to her builders. Based at Dover/Folkestone. 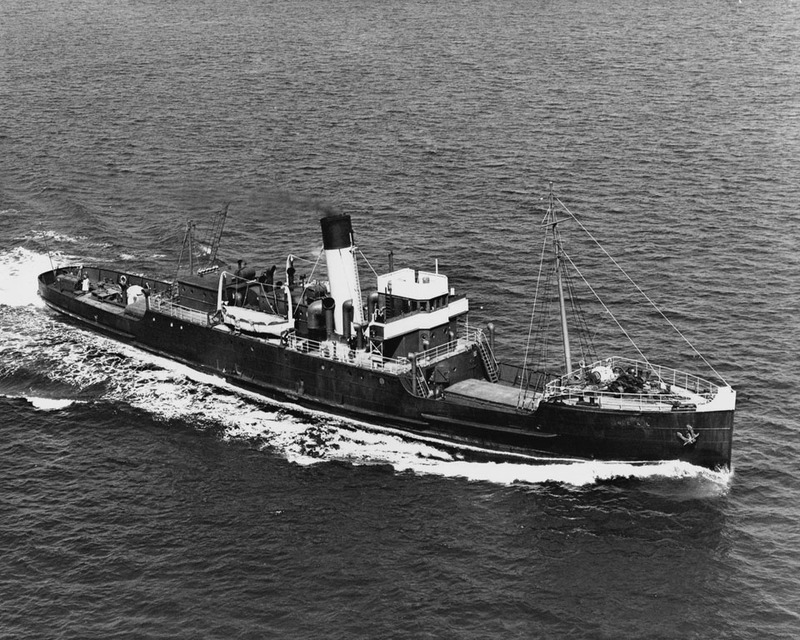 1935: First went to the Channel Islands to provide extra cargo capacity at the height of the produce season . May18th 1940: Finished her pre-war duties on the Dover Strait. May 30th 1940: Sent to St Malo to join MAIDSTONE and TONBRIDGE on a newly established cargo service to Plymouth. After two return crossings she was directed from St Malo to Southampton with government cargo. June 16th 1940: Left St Malo with 450 British troops to Plymouth. June 21st 1940: Sent to Guernsey. 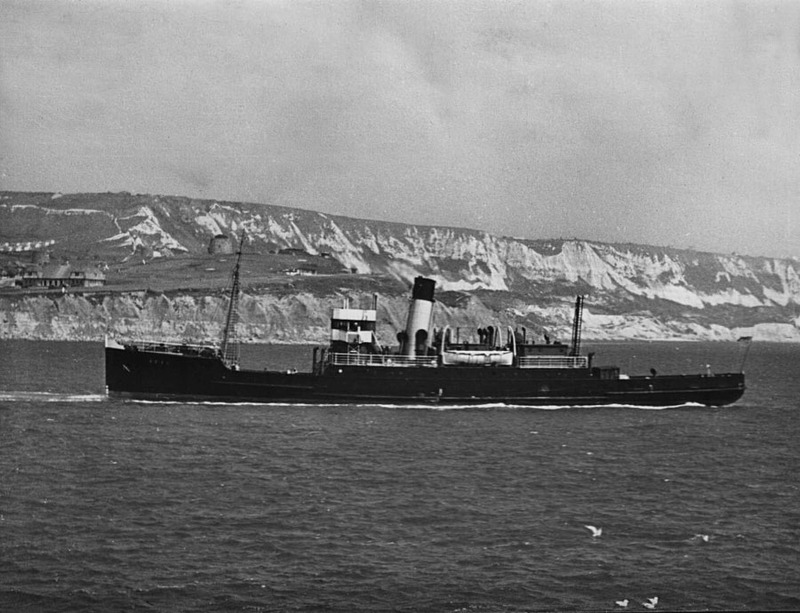 June 22nd 1940: Carried evacuees to Weymouth followed by one more sailing between Plymouth and Jersey, before German forces occupied the Channel Islands. May16th 1941: After a period of lay-up she was taken up as a Balloon Barage vessel at Plymouth. And was fitted out at Southampton. July 7th 1941: Commissioned as HMS DEAL. 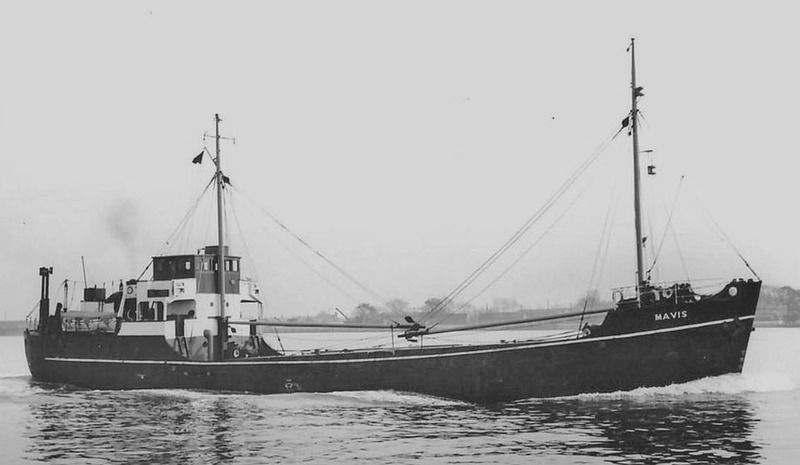 July 12th 1941: Made her first sailing as part of the Channel Mobile Balloon Barage service protecting coastal convoys between the Solent and the Thames Estuary. 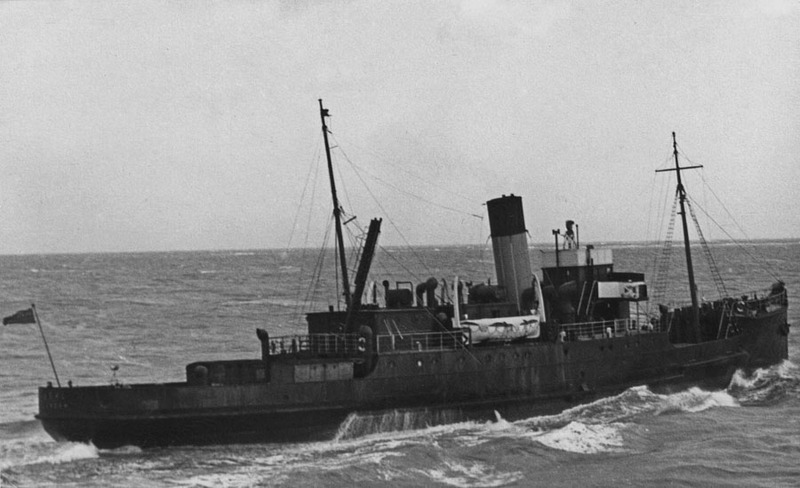 June 16th 1942: Sustained damage when she collided with, and sank, the trawler TRANQUIL which was towing barges off Dover. May 21st 1943: The requirement for a balloon barrage service had ceased, so she was paid off at Southampton. November 28th 1943: Left Southampton for Fishguard. 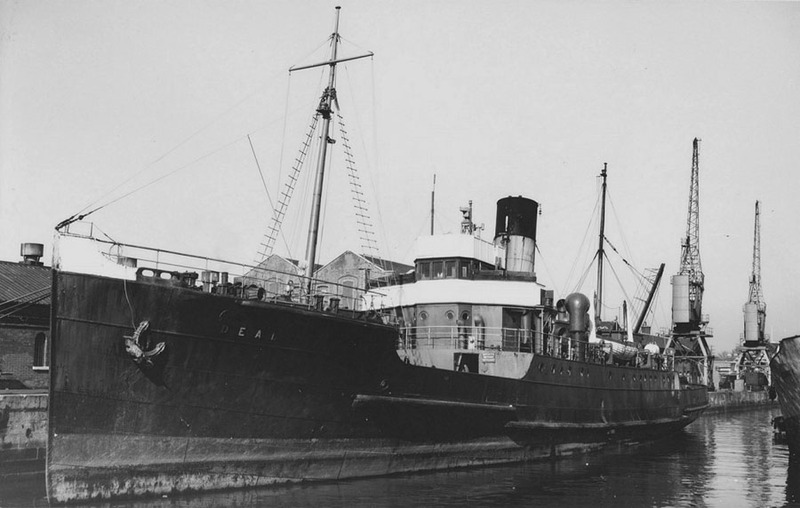 December 5th 1943: Undertook three return sailings to Cork. December 17th 1943: Arrived in Dublin. December 19th 1943: Arrived in Liverpool. December 23rd 1943: Arrived in Manchester. 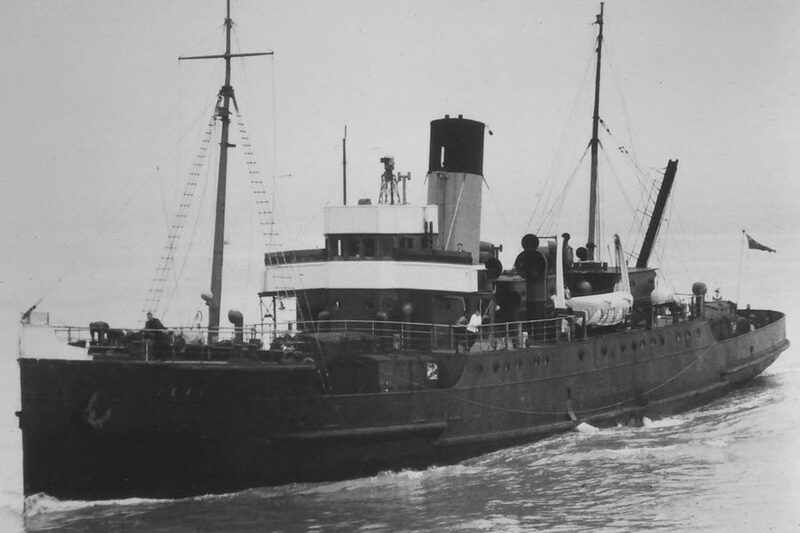 December 31st 1943: Started government service between Ellesmere Port and Belfast. February 1944: One month charter to operate a weekly round trip between Manchester and Belfast. April 22nd 1944- August 1st 1944: Sailed on L.M.S. Heysham – Belfast route. 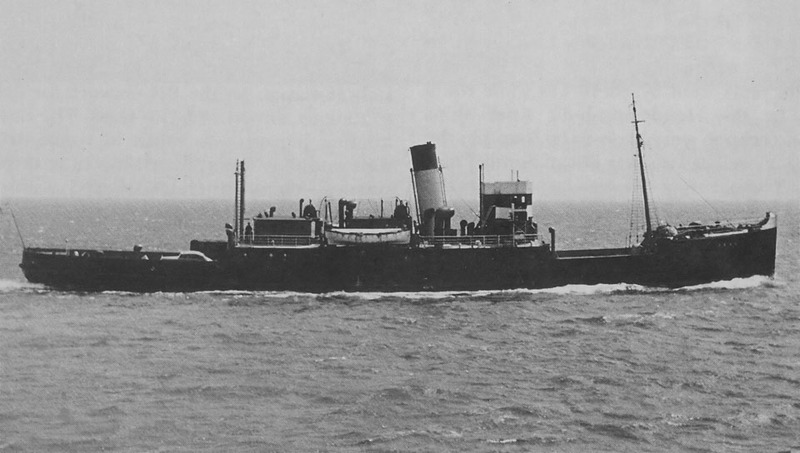 June 25th 1945: Temporarily joined the Southampton – Channel Islands cargo fleet then Folkestone. January 1st 1948: Came under the sole possession of British Tansport Commission. April 1957: “Grounded in Boulogne Harbour and damaged her starboard engine.”. October 3rd 1957: “Damaged while berthing at Boulogne after being hit by the General Steam Navigation Co’s MAVIS which was en route to Goole.”. May (end)1960 – June (beginning) 1960: Reappeared on the Channel Islands service, she made a few trips. March 8th 1963: Made her last sailing and laid up at Wellingto Dock, Dover. Put on the sale list. 1963: Sold for scrap to Van Heyghen Frères . May 25th 1963: Arrived at Ghent for breaking. 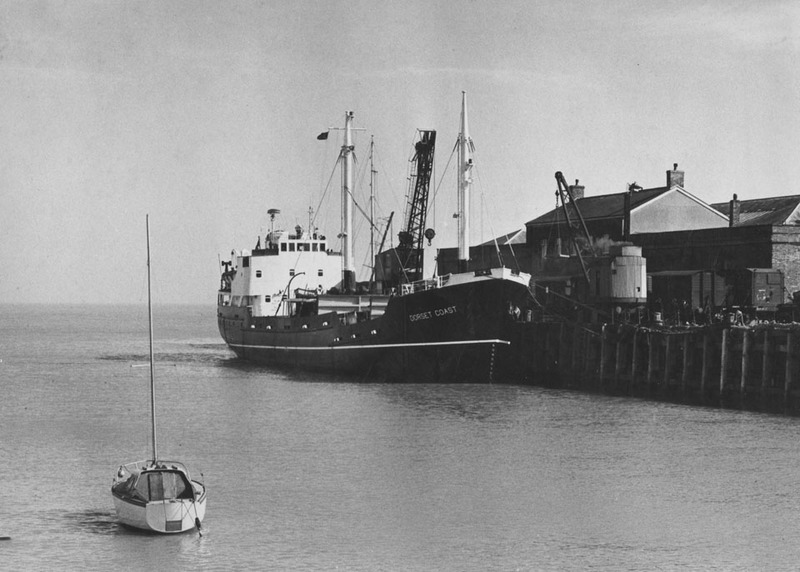 “There was no railway-owned ship available to replace her, so Coast Lines’ MV Dorset Coast was taken on charter”. We would like to thank: John F Hendy and Michael Woodland for their assistance in producing this feature. All information is believed to be correct and no responsibility is accepted for errors or omissions. All items included in this article are subject to © copyright.